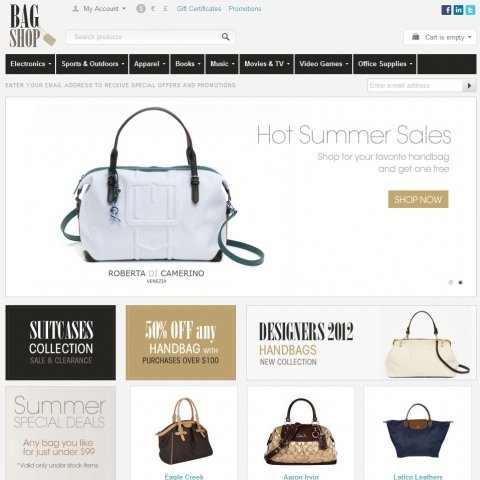 Similar to the philosophy of the iStore Theme the Bags shop theme was created to serve a more elegant presentation of a store. With a different approach to fonts, block spaces and a brand new rustic color redesign the Bags Shop Theme was introduced. Ideal for bags, shoes, clothes or any other fashion related products that has an elegant classy tone. 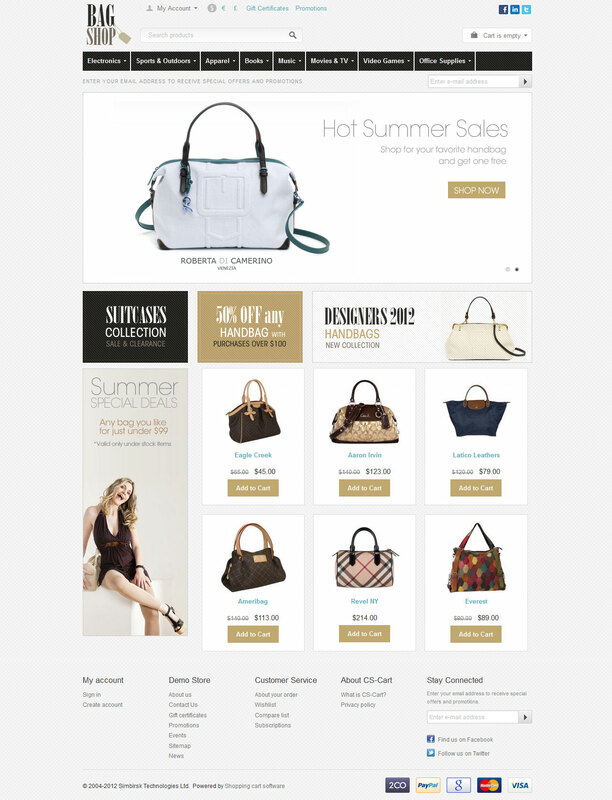 Lots of banner spaces for your promotions, a redesigned newsletter location below the main menu and over the slideshow are just a few of the features that this theme holds.